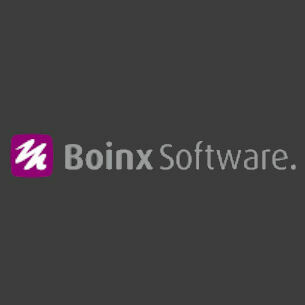 Founded in Munich in 1996 by brothers Achim and Oliver Breidenbach, Boinx Software has grown to become a popular provider of innovative photo and video software for Mac, iPhone, iPad and iPod Touch. FotoMagico is a resolution independent iOS slide show creation tool that automatically uses every pixel of the presentation medium, even state-of-the art 4K projectors. Photos, videos, music and text blend with FotoMagico's gallery of pre-built story "Snippets," so you can present an engaging story live or export as a high resolution video. iStopMotion is a stop motion animation software that turns an iPhone, iPad and iPod touch into a versatile HD camera, enabling users to create professional-quality stop motion videos. mimoLive is an all-in-one, affordable solution for creating professional-quality videos of all kinds including presentations, lectures, video podcasts, sporting events, concerts, and sermons. Mouseposé is a Mac presentation app that dims the screen and spotlights the area around the mouse pointer, enabling presenters to easily guide audience attention to a desired area of interest. Mouseposé is useful for anyone doing demos at tradeshows, slideshow presentations, and training sessions. PartySnapper is a social photo sharing app for events. Participants take photos with their iPhones, then transmit them to a host device where they are turned into a photo montage that plays on a TV or projector connected via AirPlay or cable. PhotoPresenter is a photo display app that enables presenters to browse their photo library, tap on a desired photo or video and then send it to a second screen. The audience only sees the selected photo or video.